BEL AIR, Md. - A Maryland teen who is in prison for killing his father after he says his father abused him for years, has been adopted. 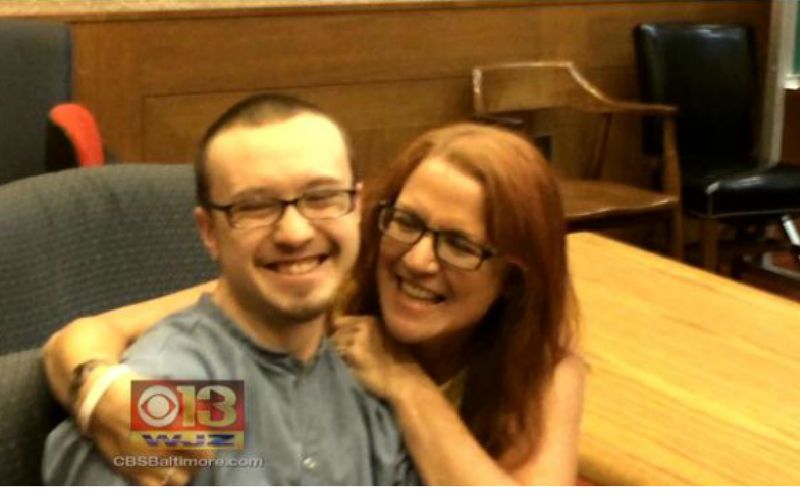 CBS Baltimore reports Eileen Siple has become Robert Richardson III's biggest supporter in the more than three years since Richardson fatally shot his father at the age of 16 in Bel Air, Md. Richardson says his father was abusive - particularly after Richardson's biological mother died of cancer when he turned 10. Richardson pleaded guilty last year to manslaughter and is currently serving 18 years in prison. According to the station, on Wednesday, Siple adopted him in the same courthouse where he was sentenced. Siple has long considered Richardson her son, and while some of Richardson's biological family members deny that he was ever abused at the hands of his father, Siple says she has no doubts. She says she is working with a lawyer to get Richardson's conviction thrown out. Prosecutors have reportedly acknowledged there were problems in the home that were never reported. "I do not believe that any jury in the world would find him guilty," Siple told the station. "He really believed that his father would kill him one day." The station reports Siple has set up a room in her house for Richardson when he is released. "As crazy as this sounds, he tells me the last three years have been the best years of his life. Now figure that out, he's been locked up, and this is the best he's ever had? This is the safest he's ever felt. That's a scary thought," said Siple. She says talks to Richardson - who will now take her last name - every other day. "I actually tease him about it because he's a mama's boy," Siple said. She even shared a letter she says Richardson wrote her for Mother's Day. It said, "Thank you for being my friend from the beginning, for taking me into my life, into my heart and for loving me when nobody else would... You and I have the rest of our lives to be mother and son."